I am a member of an increasingly endangered and probably peculiarly-regarded minority. I do not have a smartphone. While I am an avid user of the Internet via my laptop and generic tablet, the thought of constant connectivity has never appealed to me. I value the kind of focussed solitude that promotes true connectivity with the world around me far too much. 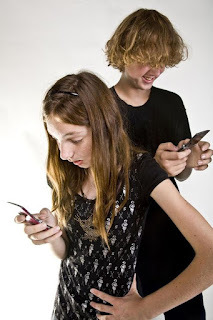 I therefore applaud the bold step that France has taken: it has banned phones from all state middle schools. To prepare for the ban, Claude Debussy middle school in Paris started with Monday bans on phones. And one of the results I suspect they hoped for, increased social interaction, emerged early in the ban, according to principal Eric Lathière. The French education minister has called the ban a detox law for the 21st century, saying teenagers should have the right to disconnect. Children’s phones were already banned in classrooms – except for teaching purposes – but under the new law they are banned everywhere inside the gates, including playgrounds and canteens. The French senate expanded this to allow high schools to ban phones if they choose, but few, if any, are expected to do so. Many suggest 18-year-old pupils with the right to vote can make their own decision on phones. I doubt that the political will for such a ban exists in Canada. For example, going completely in the opposite direction is the Toronto District School Board which last week restored access to Netflix, Instagram and Snapchat. The blocking of access to those services had nothing to do with educational principles but was prompted by the high amount of bandwidth such services require. It is heartening to know that at least in France, that kind of buck-passing has yielded to educational integrity that puts the real needs of students first. My wife has a smartphone and I appreciate her using it, Lorne. Two years ago, when she was visiting patients, she had a flat tire. She called me and I arranged for CAA to fix the problem. But, like you, I still use a land line. And, like you, I fully support a ban on smartphones in the classroom. I didn't mean to leave the impression that I don't have a cellphone, Owen. Both my wife and I have prepaid flip-phones which we only use when we need them, such as when out shopping to meet up later, etc. We have to keep up with the times, Lorne. But there is the right time and the right place for everything. I have read that the titans of Silicon Valley, or some of them, keep 'devices' out of their kids' hands, even sending them to schools that prohibit them. That certainly makes sense to me. Then again I'm the guy who thinks that nearly half the kids today would do well with a stretch in the army. Well, they probably know what they have wrought upon the world, Mound.